Yes I did, I’m not even sure how I liked myself. But I did. I mean I do like myself, that’s not a problem. It just seems a bit presumptuous to “like” myself on the internet. Here’s a little lighthouse scene. 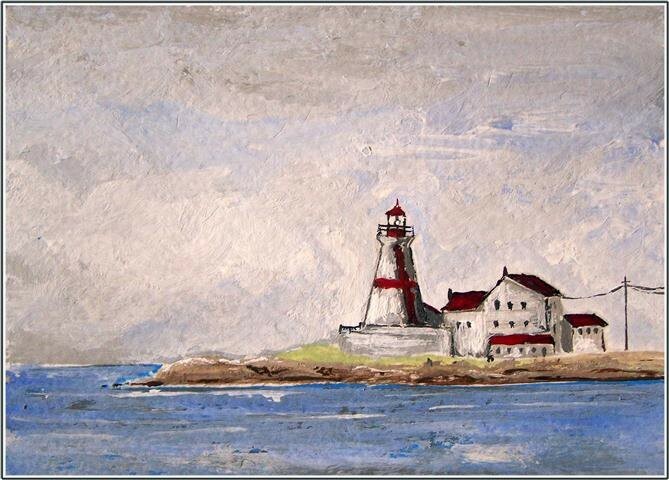 This was done based on a lighthouse I saw while whale watching in New Brunswick near the Maine border. It’s an acrylic miniature, 2.5 by 3.5 inches. It’s OK – your “like” hasn’t counted lol!